The aim of this paper is to examine to what extent the economic crisis has affected the impact of customer satisfaction and its antecedents to loyalty. 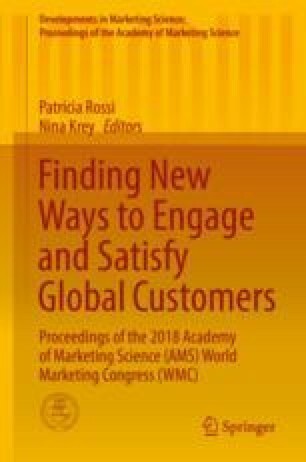 Considering that several economies are facing the effects of a recession or they will face them sometime in the future, studying the determinants of customer satisfaction and the customer satisfaction-loyalty relationship during periods of economic crisis provides important insights to both the marketing academia and to the industry. Therefore, this paper aims to test the influence of perceived value to customer satisfaction and of customer satisfaction to store loyalty during periods of economic crisis. By considering the notion that unstable economic conditions may alter these relationships, the study examines data for two periods in Greece, 2012 the year when the first austerity measures were implemented and 2016 when stricter measures had to be taken and all consumers were influenced by them. As a result, from 2012 until today, liquidity is reduced with consumers having less cash on hand for shopping. This has resulted in remarkable cuts in consumption spending even for necessities. Data was collected through a telephone survey targeting those responsible for the household grocery shopping with a total sample of 2000–2200 respondents, respectively, for the 2 years based upon a quota to represent the six leading grocery retailers in Greece. The model was estimated using Partial Least Square Equation Modeling, and the hypotheses were tested using multigroup analysis. The findings revealed that during periods of economic crisis, the effect of perceived value to customer satisfaction as well as the effect of customer satisfaction to loyalty is greater. Thus, the findings of this study reinforce the need for grocery retailers to develop strategies that will help them enhance their value offering and customer satisfaction rather than to rely on just price-driven sales promotions. Monitoring how customers reassess priorities, allocate their funds, and redefine value during economic downturns is critical for retailers.